19th December. Finished reading ‘Changing Places’ by David Lodge, author of ‘The Art of Fiction’ and ‘The Practice of Writing’. 17th December. Last night was in the Ulster Bank, Donegal Square East, at the launch of the ‘Dictionary of Irish Biography’, a collaborative project between Cambridge University Press and the Royal Irish Academy. Spoke with my old ‘sparring partner’ Seamus Heaney who launched the book. 16th December. Finished reading ‘Writing in the Dark’ by David Grossman which I had ordered from the Falls Library. 11th December. Interviewed by Canadian Claire Delisle, a PhD student, who is writing on the subject of the qualities of leadership/what makes a leader [specifically within the Republican Movement]. Meeting with Richard Reed, School of Politics, International Studies, Queens University, who is writing his PhD on how loyalists are perceived. 9th December. Editing the programme for Féile an Earraigh [4th – 7th February]. 8th December. Interviewed by Anna Bryson and Professor Seán McConville (Department of Law, Queen Mary, University of London) for the Irish Political Prisoners project. In his book ‘Irish Political Prisoners, 1848-1922’ McConville shows how punishment came to shape the nationalist consciousness and the part it played in the development of Anglo-Irish relations and the birth of the Free State/Republic of Ireland. 5th December. Finished ‘Stalingrad’ by Antony Beevor. 3rd December. 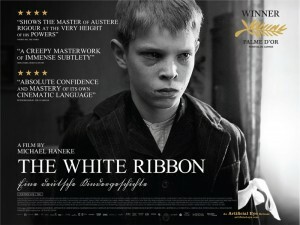 At QFT to see ‘The White Ribbon’. Disappointed and can’t understand the passion some have for it. Outside the cinema I was surprised by a Basque who said that it was his second time seeing it! 1st December. At funeral in Milltown Cemetery of Violet Holland (who would have been 90 in January), a great woman who raised a great family in West Belfast, many of whom have been active in the community for close to forty years. At Christmas and New Year parties Violet and I would sing duets from the Big Band Era, particularly songs that featured in the Dennis Potter 1978 television series, ‘Pennies From Heaven’. 30th November. Visit No Alibis bookshop on Botanic Avenue and buy ‘The Art of Fiction’ by David Lodge and ‘A Room Of One’s Own’ by Virginia Woolf, both of which I have read several times before and enjoyed. David, the proprietor, recommended and gave me David Lodge’s novel, ‘Changing Places’, as a present. In the Oxfam shop, down the street a little, I buy ‘This I Believe’ by Carlos Fuentes.